Today's BOT is easy to build. Very, VERY easy to build. I could tell. Want to know how? You built all five! 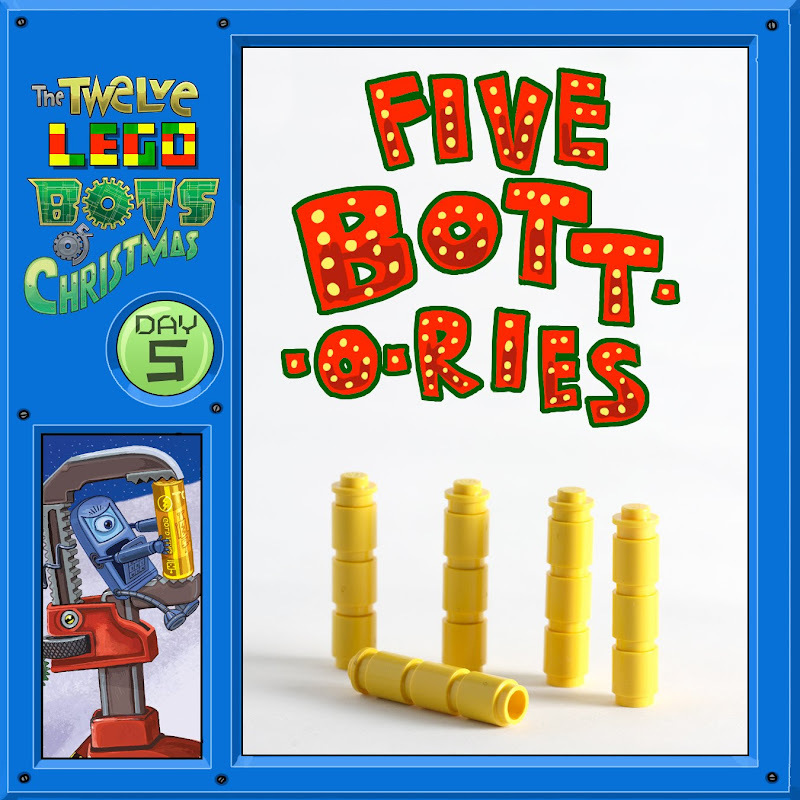 What made you decide to change batteries to bott-o-ries? Hey, it's finally something approaching my LEGO skill level. Yeah, I could build those. The others, I'd need instructions.